Clocks are a great way to add a timeless accent to your home decor. Searching for a new and timeless home accent to add to your home decor? Consider using a clock! At A Village Gift Shop at the Century House you’ll find that we have several to choose from. 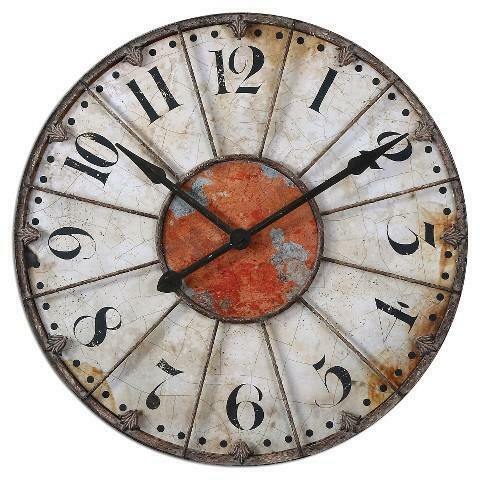 A wall clock will give your home a classic look and also be a functional piece of decor. 1. 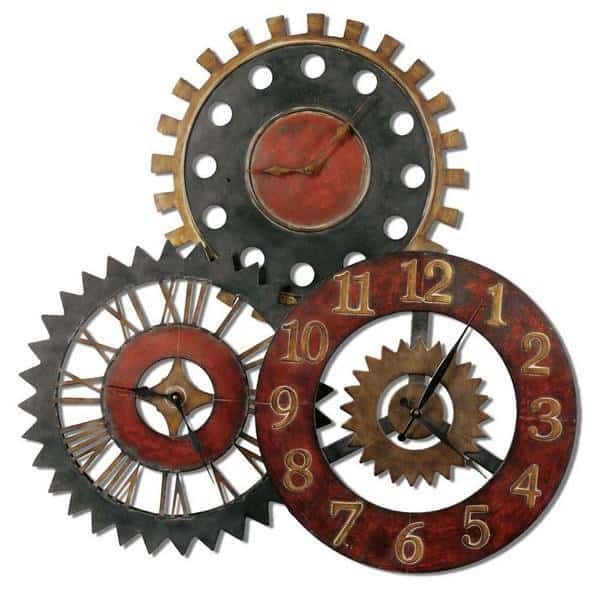 Gather a few different clocks with interesting shapes and sizes. If you have friends or family in different times zones (or different parts of the world), set each clock to a different time zone where those friends and family are located! Use multiple clocks in a group, setting the time on each one to a different time zone where friends or family live. 2. Mantels are a wonderful stage for clocks. 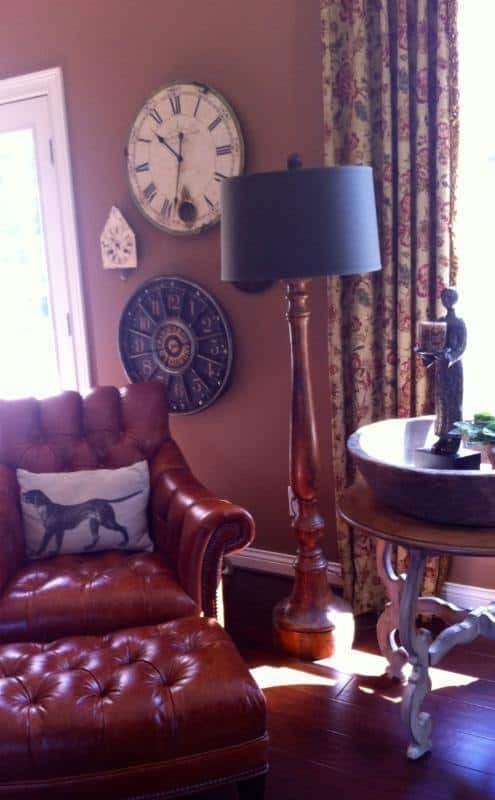 Give your mantle an asymmetrical look with various items arranged around the clock to give it the spotlight. 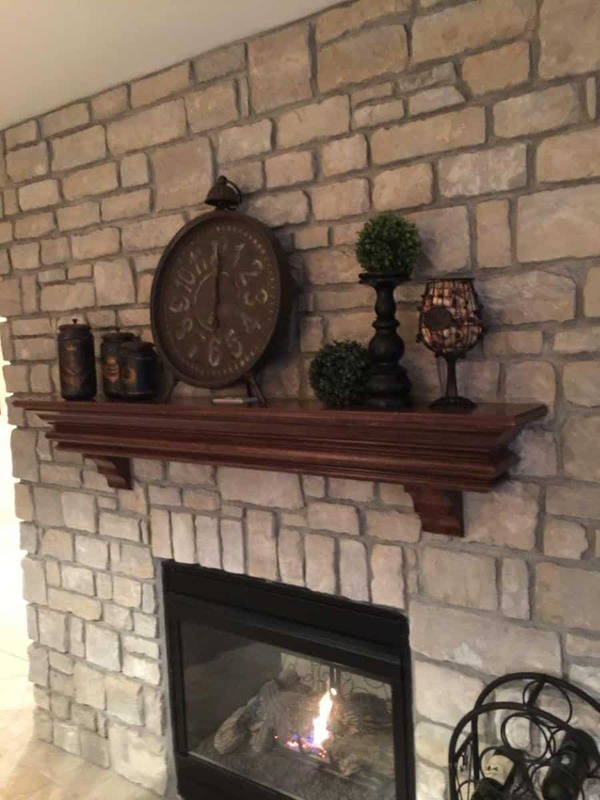 Draw attention to a clock on a mantel with other home decor items. 3. 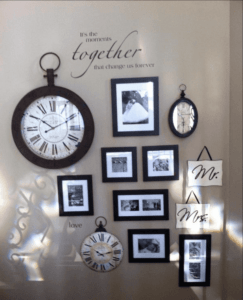 Build a gallery wall at your home, and incorporate clocks. You can set each clock to represent the time of different life events, such as a wedding or the birth of a child or grandchild. 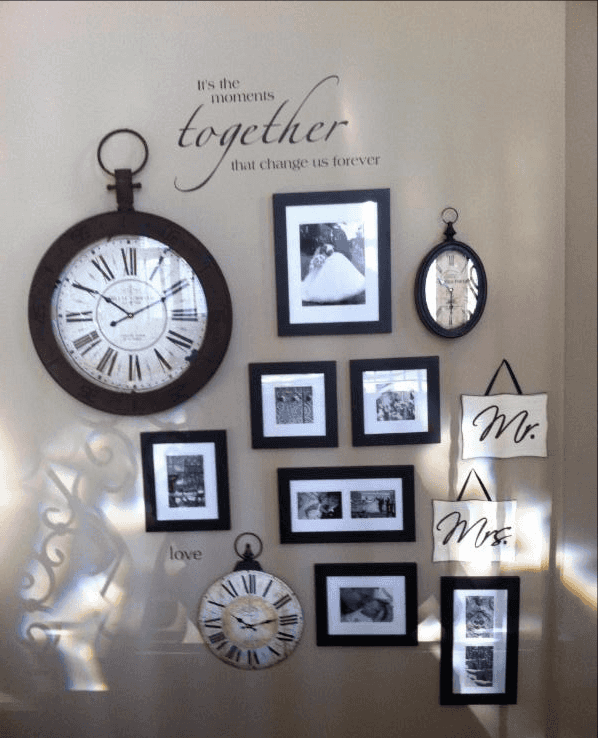 Use a clock to highlight a special moment in time for your family.